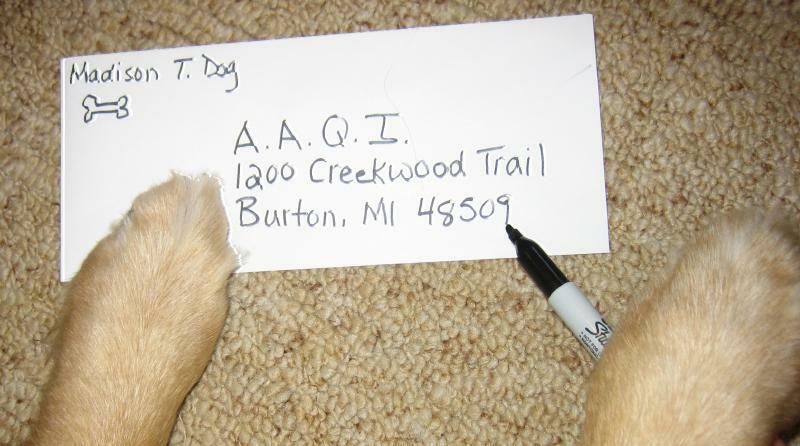 Entry filed under: AAQI News, Dog Stuff, Quilting. 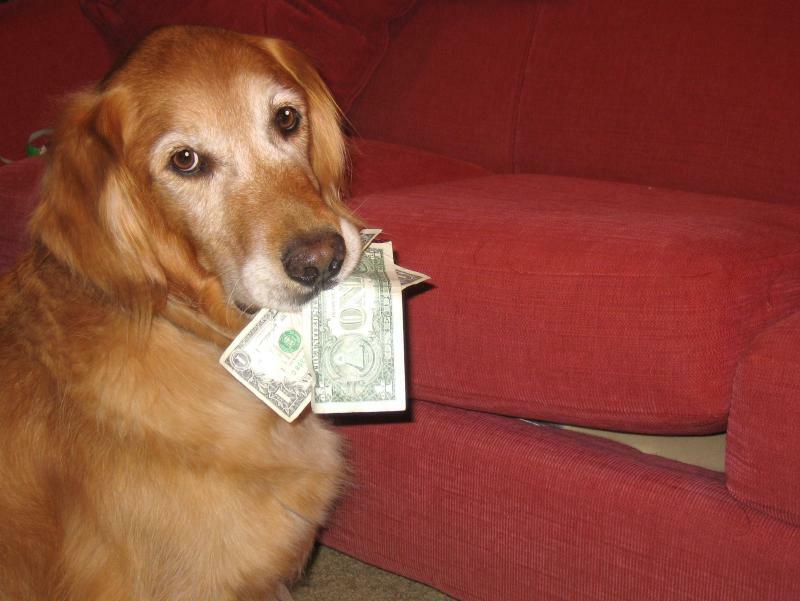 Madison, you are such a smart dog! And you’re very thoughtful and caring. I know your family is proud of you. My cat, Gray Soufflé has already searched upstairs and found a donation to send!! 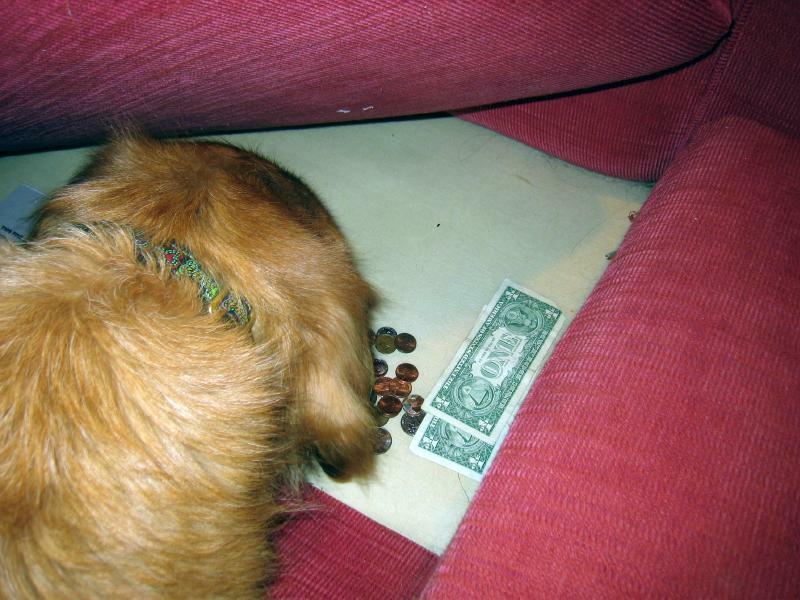 I think that Shadow, my black English cocker spaniel, couldn’t find money if I put it in her food bowl. But I’ll find something else to do for your mom, ’cause she’s the best, isn’t she?! Lu and Jazz sister dogs saying hi and thanks for the awesome idea. Good luck with the donations and let us know if you have anyother ideas for fund raising. A quick shout out to Angel the cat for forwarding Madison’s email to us so we could participate too! Sorry Madison but this house does not have any pets but we honor your request by contributing to the auction and purchasing the wonderful quilts that your mom took to Texas. But you keep talking to your friends and encouraging them to do their work toward this most needed cause.